We carry out mechanical-technological tests in our Materials Testing Department. 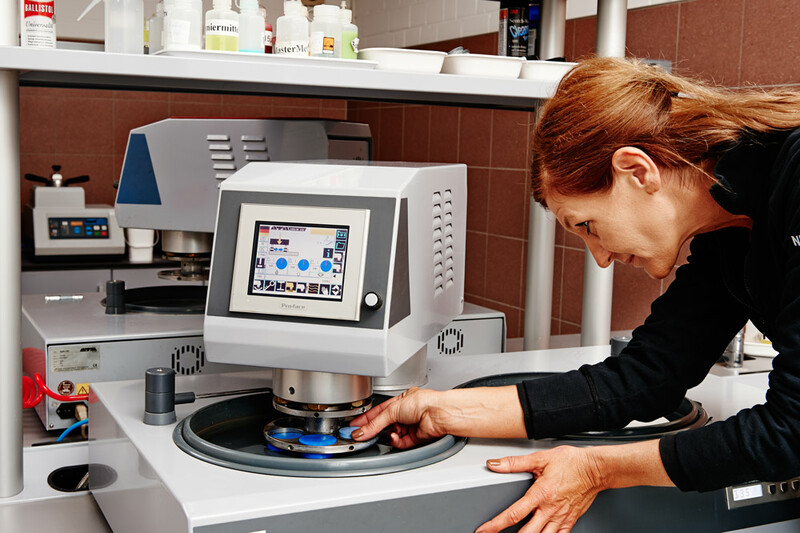 Our in-house workshop creates standard-compliant samples with your test items and also produces a variety of inspection tools. 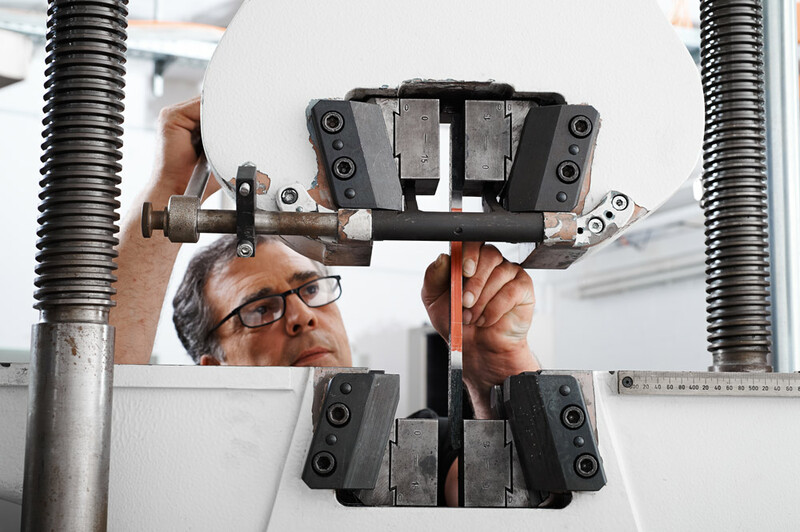 We use our versatile machinery to test the hardness, V-notch impact resistance or tensile, compressive or flexural strength of raw materials, semi-finished products, finished components or weld seams. Our accredited, standard-compliant processes are used to check test reports or provide information on material defects. 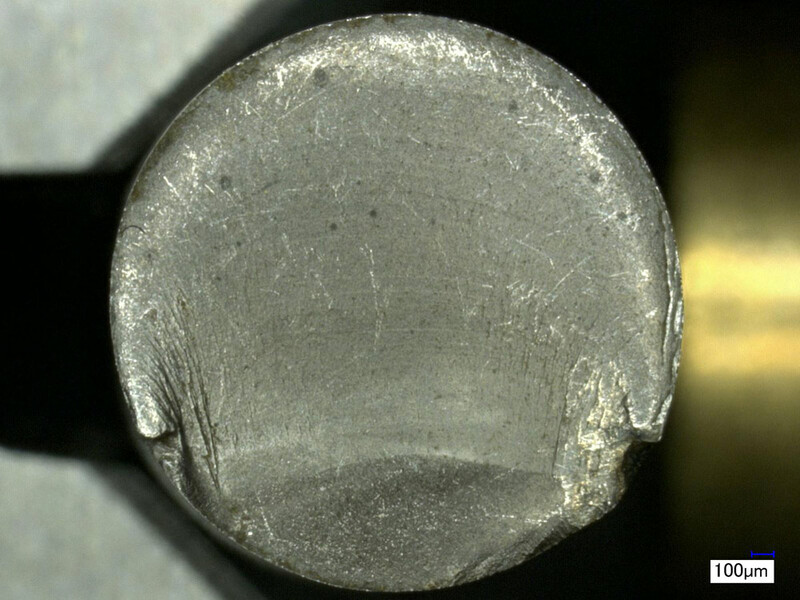 The Analysis Department assists us in our work by identifying the elemental composition of metals. 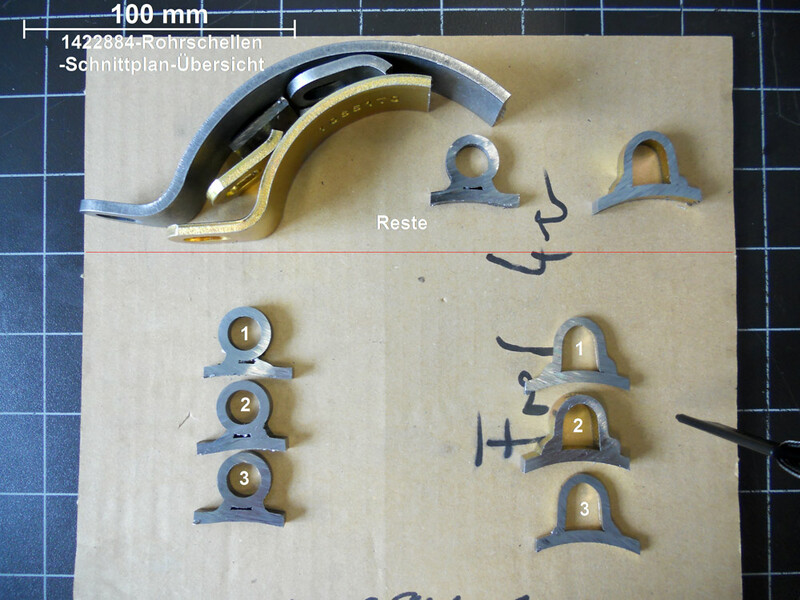 Metallography is able to analyse joins in an extensive range of materials. 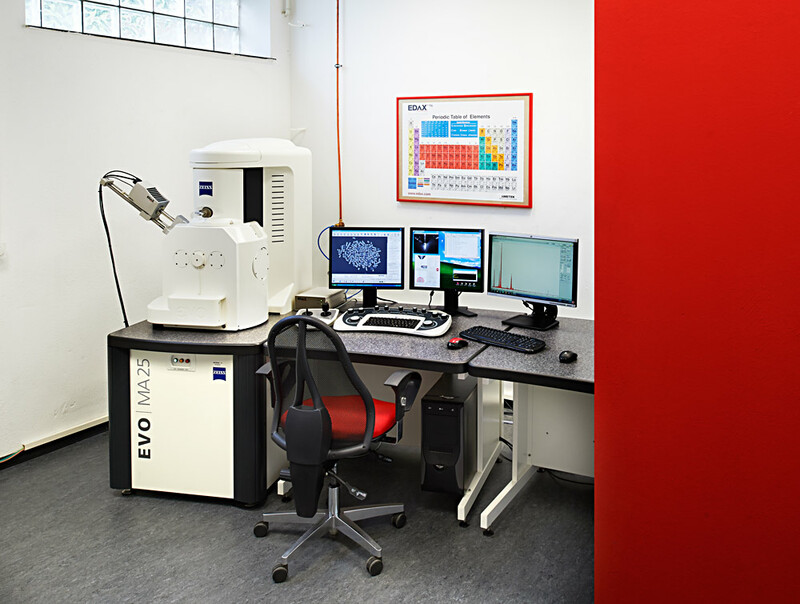 Our trained specialist staff will produce precise micrographs to determine the quality and condition of materials whether they be iron, copper, aluminium or less common materials such as cobalt, titanium or niobium. Micrographs of electronic components also form part of our repertoire. In cooperation with other departments in the Analysis and Testing Centre, Metallography provides additional information for appraising welds and evaluating damage incidents. For non-destructive testing, we offer you dye penetrant inspection. We will be glad to pass on your samples to a cooperation partner for analysis using other test methods. Completion of mechanical-technological tests for welding procedure tests for sectors such as ship building and mechanical engineering.